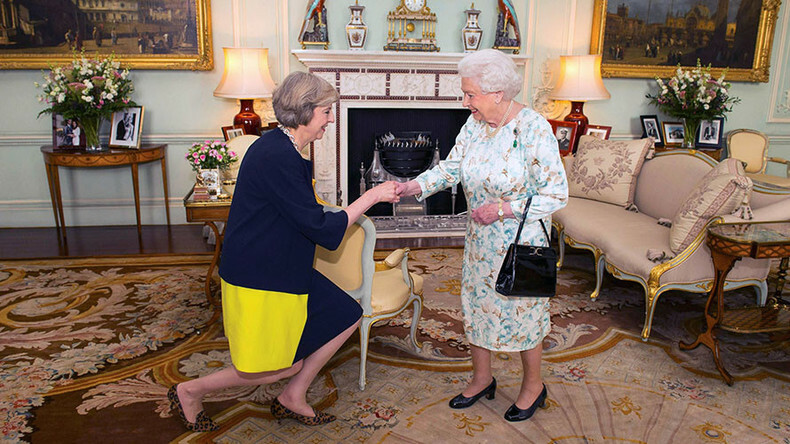 Theresa May has become Britain’s second ever female prime minister after being appointed by Queen Elizabeth II, who earlier Wednesday accepted the resignation of outgoing PM David Cameron. After her appointment, May promised that Britain will leave the EU and will be able to “forge a bold new positive role” for itself. “Following the referendum we face a time of great national change,” May said. “I know because we're Great Britain that we will rise to the challenge. As we leave the European Union, we will forge a bold new positive role for ourselves in the world,” she said before entering the prime minister’s official residence at No. 10 Downing Street. Speaking live on television in Downing Street, May, also the new leader of the Conservative Party, said that her cabinet will put ordinary citizens and their interests before those of the wealthy. "The government I lead will be driven not be the interests of the privileged few, but by yours. We will do everything we can to give you more control over your lives,” she said. "When we make the big calls we'll think not of the powerful but you, when we pass new laws we'll listen not to the mighty but to you, when it comes to taxes we'll prioritize not the wealthy but you," the new PM added. May, 59, has become the second female British prime minister after Margaret Thatcher, who served in office from 1979-90. There was a small protest near Downing Street on Wednesday, with its participants calling for a general election to be held in the country instead of the appointment of a new Tory PM, Reuters reported. Theresa May’s new cabinet is already starting to take shape, with Reuters reporting the resignation of finance minister George Osborne. Osborne will be replaced as Chancellor of the Exchequer by Philip Hammond, who was Foreign Secretary in Cameron’s government. The White House has congratulated May on taking up the PM’s duties, expressing confidence that she be able to steer Britain through its negotiations on leaving the EU. "Based on the public comments we've seen from the incoming prime minister, she intends to pursue a course that's consistent with the prescription that President Obama has offered," said Josh Earnest, the White House spokesman. Earlier Wednesday, Queen Elizabeth II officially accepted the resignation of outgoing Prime Minister David Cameron. A statement released by Buckingham Palace said the monarch was “graciously pleased to accept” Cameron’s notice of departure. Cameron said that he was sure that May would provide "strong and stable leadership" and wished her luck during the EU talks as he delivered his farewell speech. It's been a privilege to serve the country that I love. Cameron announced his resignation as PM after the UK population voted “no” to remaining in the European Union by 52 percent to 48 percent in a June 23 referendum. May’s first main task in office will be limiting the damage to the British economy over its split with the European Union. She was an opponent of UK leaving the bloc, but said after the “no” vote that "Brexit means Brexit." The new PM said that she wants to start talks with the EU on the issue as soon as possible, but not before the end of 2016. Russian President Vladimir Putin has sent telegrams to David Cameron and Theresa May on Wednesday, the Kremlin press service said. Putin also assured Theresa May that Russia is ready for dialogue and joint work with the new British PM on bilateral and international issues.